There are a number of species that are at risk in Manitoba simply because they are losing their habitat. While this is alarming, the positive news is that many individuals and organizations have banded together to help improve the situation. The Manitoba Habitat Heritage Corporation (MHHC) is one of those organizations. They are committed and actively engaged with the Manitoba Beef Producers, Manitoba Agriculture, and landowners to deliver programming based on the Species at Risk Partnerships on Agricultural Lands (SARPAL) program funded by Environment and Climate Change Canada. 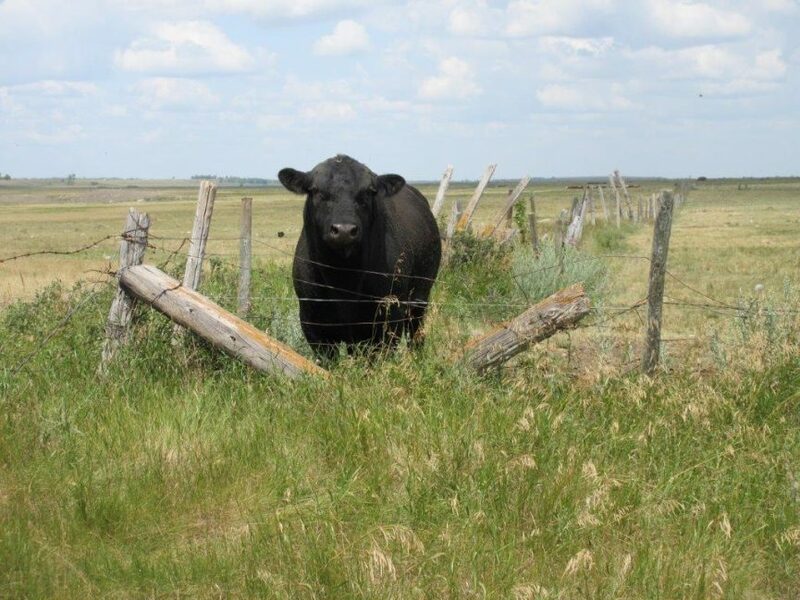 The SARPAL program in Manitoba is based on providing beef producers with incentives to alter their pasture management practices and enhance native prairie grasslands specifically for ground-nesting birds that have been identified as Species at Risk. “MHHC recognizes that most of the Species at Risk in Manitoba are found on private land. We continue to raise awareness on the fact that if these birds are going to survive, it will be because we have landowners with cows grazing on the pastures that they require as habitat,” said Carol Graham, Habit Conservation Specialist with MHHC. One of the ways to improve the native prairie grassland and maintain a robust ecosystem is to simply use grazing practices that allow domestic animals to live in harmony with grassland birds. The ultimate goal is to increase populations and eliminate the risk of extinction. Last summer and fall, a number of different SARPAL projects were finalized in the southwest corner of the province which mostly involved upgrading and installing reliable watering systems and fencing. “It has been quite interesting as we’ve already noticed a response to the cross fencing that we put in last year. Some of our landowners said that they originally thought they had good grass, but are now commenting that they are seeing better grass production with the new pasture rotation,” said Carol. By rotating the herds in paddocks, the cows are improving the structure (height) of the grass throughout the entire pasture. Many areas remained sufficiently tall enough and allowed for nesting and nest building during the most critical period for the Species at Risk. “In just one season we’ve seen the impact of what we’ve been working with the landowners to achieve. The habitat is there and we’re flushing out birds as we walk across the pasture. Along with nesting spots, the healthy grass provides ground cover for the birds to protect themselves from raptors, as well as a habitat for insects to forage in,” said Carol. Along with rotation, the timing of cattle grazing on the prairie grasslands is important so that it stimulates grass production, tillering, and thickening, which in turn also increases ground cover. This practice will improve the health of the grass, creating more available forage for the cattle, as well as, enhancing the habitat for Species at Risk. Some of the most recent SARPAL projects delivered by MHHC this past summer focused on shrub mowing. When shrubs such as wolf willow and snowberry are heavy, there’s an absence of grassland birds and a negative impact on nesting capabilities for these birds. Mowing shrubs has proven to be another way to positively impact the health and production of the native prairie grasslands. Through the partnerships that MHHC has developed and valuable programs such as SARPAL, protecting and enhancing wildlife habitat is one of MHHC’s main goals. Improved habitats increase the chances of growing the populations of the Ferruginous Hawk, the Loggerhead Shrike, Sprague’s Pipit, Baird Sparrow and the Chestnut-collared Longspur; all of which are considered to be Species at Risk.